I wrote a guest post on Tina’s blog Best Body Fitness about ways to get pumped up to work out and how you can use social media to motivate yourself to exercise. I wrote a guest post on Amee’s Savory Dish blog sharing my apple pie parfait recipe! You might already be familiar with it, but you should go check it out anyway! It’s super easy and delicious. 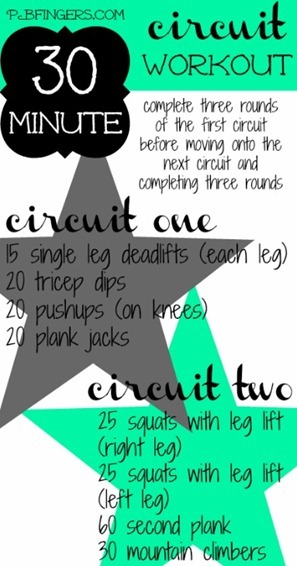 Favorite Circuit Workout: Julie has some awesome workouts and I only recently started putting them to work – I haven’t done this one yet but I’m planning on doing it today! Looks like a killer. 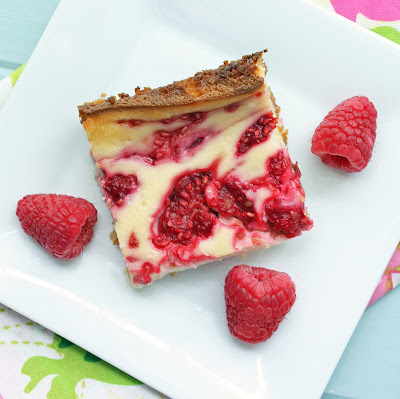 Favorite Bars: These Raspberry Bars are low carb and gluten free! Although I’m no longer doing the lower carb diet, I’m all for still implementing more low carb sweets and meals into my life if it’s possible without sacrificing flavor. These look amazing. Favorite Tech Tip: How to get advertisers to stop tracking your iPhone. This should be done by everyone who has an iPhone and doesn’t need extra advertisements popping up. I did it. Favorite Hilarious Movie Pic: Gotta Love Napoelon Dynamite. So awkwardly awesome. Favorite movie: Seven Psychopaths! Oh my gosh, that movie is so great – if you appreciate creative, different, and surprising movies, you have got to see this! And I was lusting over Sam Rockwell in this one. Ohhhh yeah! Favorite Indulgence: This heart-attack causing chocolate cake is just way too nice to look at. I’m pretty sure my body would hate me for eating it but my mind would be in ecstasy. Favorite Halloween makeup: This is an awesome idea for Halloween, although probably not very practical. Awesome way to do a photoshoot of lips though – super cute. Especially the Pikachu! 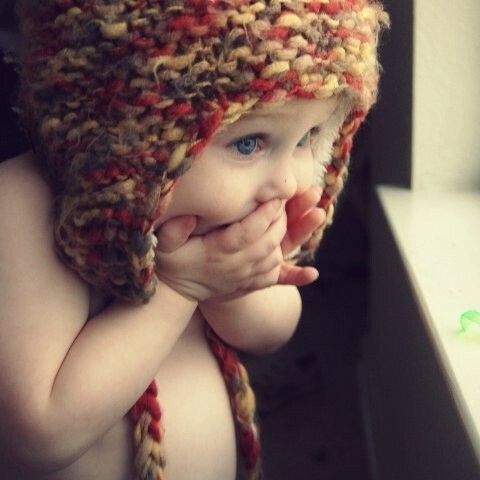 Favorite baby picture: I’m not a huge baby/kid person but this pic is soo cute! Favorite Sandwich: Whenever I see melty, my heart does just that. Like in this grilled spinach artichoke sandwich. mmmmelty. I’d omit the bacon though. 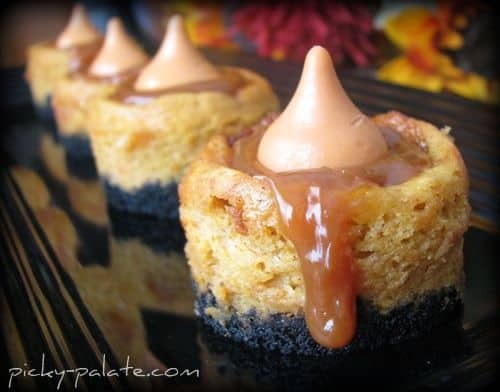 Favorite Pumpkin Bite: Black bottomed mini caramel pumpkin bites. These look super cute and I bet they taste even better. Share your picks and finds from the week with me! Those pumpkin bites look absolutely amazing! Thanks for all the awesome links! We’ve been wanting to see 7 Psychopaths! OOH and the new RZA movie coming out! Thanks for sharing that iPhone tracking thing! I did it immediately. And I loovee grilled cheese sandwiches packed with more than just cheese. There is just something so warm and comfy about the entire meal. That chocolate cake even looks sinful 😆 I love it! And I’m kind of swooning over that lip art, but there’s no way I’d be able to keep that sort of thing on my lips for more than 15 minutes tops. Awesome picks! I didn’t know about that advertising thing on the iPhone! Checking it out now.